Huawei is no stranger controversy with EMUI, the company’s in-house variant of Android. Just recently, they were accused of blocking third-party launchers in the latest EMUI 9 China version, with no concrete information as to why. According to members on our forums, the reason for this restriction is to allegedly combat the shady practices of some third-party retailers in China (a problem we’ve seen Xiaomi deal with on multiple occasions). Now the company has confirmed that it’s done on purpose, but legitimate developers of accessibility launchers can apply to have their applications whitelisted. This does not affect anyone running the global versions of EMUI 9. “Default app” settings on the Honor Magic 2 (TNY-AL00) running EMUI 9.0.0.128. 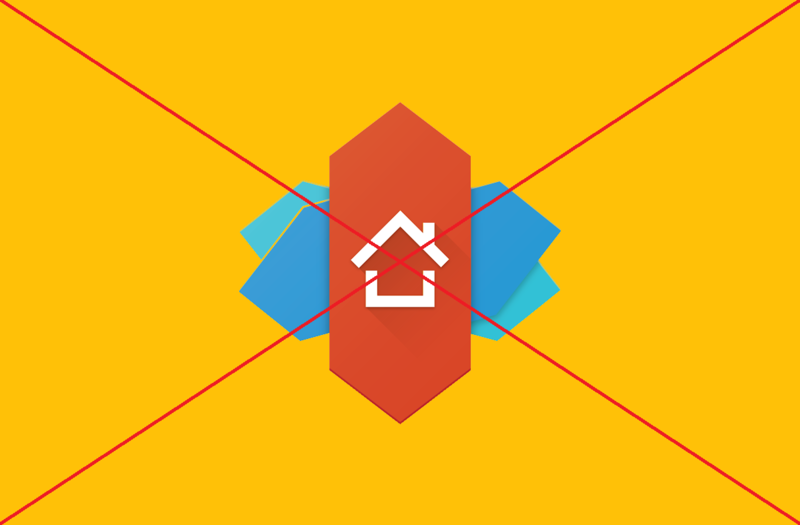 Although Nova Launcher is installed, it cannot be made the default launcher. This restriction makes sense once you consider the Chinese market, though it would be a lot easier to swallow if regular developers could have their applications whitelisted as well. EMUI’s launcher lacks features, and users may wish to install another launcher such as Nova Launcher, Action Launcher, Rootless Pixel Launcher, Niagara Launcher, and more. This was required as Huawei claims that third-party resellers would pre-install unofficial launchers that displayed pop-up advertisements, installed applications without permission, and slowed down your phone. We can’t verify the authenticity of these claims, but as said before, Xiaomi has faced similar issues. If this was a widespread issue, then you can imagine that Huawei’s service centers were potentially very busy. So what can normal users do? 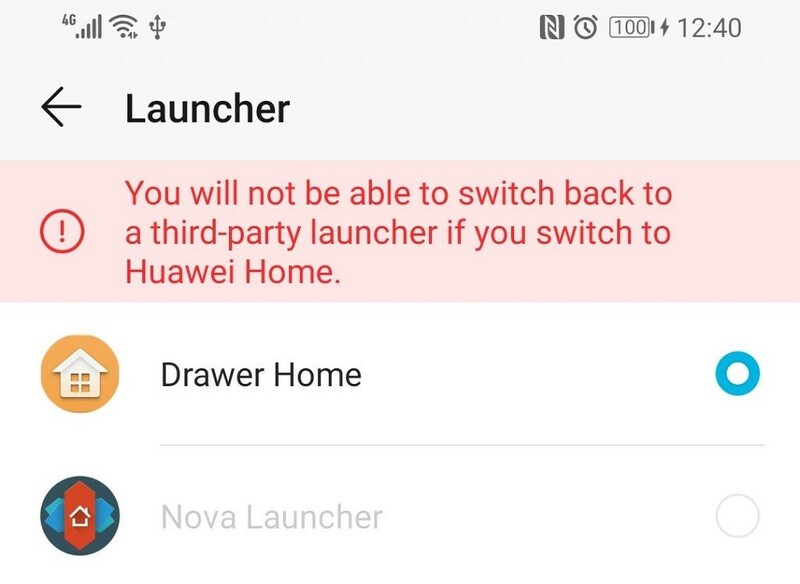 Previously, uninstalling the official Huawei launcher was enough to allow you to choose a third-party launcher instead. It’s unknown if it still works, but you can give it a try if you’d like. It requires ADB though, where you can find a full tutorial for uninstalling bloatware that may be included with your smartphone here. To uninstall just the Huawei launcher, run the following ADB command. To get back the stock launcher, you’ll need to sideload the APK.